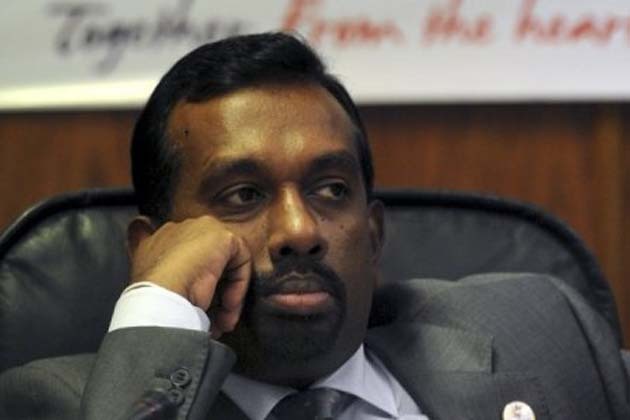 Colombo, April 16 (newsin.asia) – Sri Lankan investigators, on Monday arrested former Sports Minister, Mahindananda Aluthgamage over alleged financial fraud amounting to 340,000 US Dollars committed during the tenure of the previous government. Aluthgamage arrived at the Financial Crimes Investigations Division (FCID) in Colombo to record a statement over the alleged deal which involved importing a consignment of carrom boards while Aluthgamage was the Sports Minister in 2014. He was arrested after being questioned for hours by investigators. He will be produced before a local court later Monday. Sri Lanka’s unity government, led by President Maithripala Sirisena and Prime Minister Ranil Wickremesinghe have vowed to curb corruption and arrest high profile officials who were involved in financial fraud during the previous government. Several cases against ministers in the former government, led by Mahinda Rajapakse, have been lodged with the FCID and the island’s Bribery and Corruption Commission. Former Ministers named in corruption scandals have denied any wrong doing and have blamed the government for carrying out a political witch hunt.